As I transition to using more green beauty products that focus on natural ingredients, I’m beginning to realize: a) how important the quality of the ingredients are that I’m putting on my face, and b) how important it is to find a brand that offers meticulous and thoughtful formulations. With my allergies and eczema-prone skin, I try to stick to pure and simple formulations. Because even though something may be “natural”, it doesn’t mean it won’t irritate your skin — some natural ingredients can contain pesticides, may have irritating compounds (after all, most allergies are in reaction to “natural” things like pollen or mold! ), or may be adulterated by synthetic solvents and preservatives. So it’s incredibly important that green beauty brands exercise the utmost integrity in sourcing ingredients and formulating their products. URANG has been on my radar ever since one of my favorite KBeauty shops, OHLOLLY, started carrying it. First of all, the ladies at OHLOLLY curate amazing, high quality brands, so I implicitly trust their taste. For example, Pyunkang Yul, one of their curations, makes super simple products with minimal ingredients, that I fall back on whenever my skin is feeling reactive and sensitive. Second, once I started reading about what URANG is all about, I was even more on board. NOTE: This post contains affiliate links. Purchasing through an affiliate link generates a small commission which helps to support this blog, without costing you a penny more! URANG is a natural beauty brand founded by a mom and holistic aromatherapist, Jina Lee. OHLOLLY has a great interview with her here, but the gist of her story is that she started creating products that were organic, gentle, and safe enough to use on her whole family, including her baby. So all of her products are geared towards sensitive skin. OHLOLLY was kind enough to send me the trio of oil serums to try out and it was super interesting to tease out the differences between them. The ingredients are actually quite different in each and targeted towards different skin concerns. While URANG uses essential oils in its formulations, they tend to choose the mildest and least potentially irritating. For instance, the only citrus peel oil you’ll see in this trio is mandarin oil, one of the mildest citrus oils. It can be used, properly diluted, even on sensitive skin. Jina, the founder, has years of aromatherapy and biochemistry expertise, so I trust that they’re conscious of using essential oils in the right combinations and concentrations. If you want to delve more into detail about the safety of essential oils, I highly recommend Robert Tisserand’s blog (one of the most world renowned essential oil experts) which is very balanced about the benefits and safety issues involved with essential oils. The URANG Vitamin Oil Serum smells heavenly. 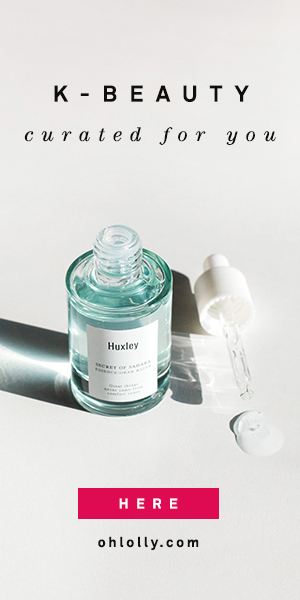 If you like natural floral scents, you’ll love the fresh scent of this oil — it smells like you’re walking through a garden. This oil serum focuses on nourishing skin with antioxidant and vitamin-rich rosehip and vitamin E oils in a base of jojoba oil. Small amounts of antibacterial and anti-inflammatory oils like lavender, rose, and myrrh give it its amazing scent, and are known to speed healing and brighten the skin. I love how light yet nourishing this oil feels on my skin. I like to mix it into a moisturizer or use a drop or two on top of moisturizer. The founder of URANG, Jina, suggests putting the oil serums on moist or damp skin. It doesn’t feel heavy at all and I love the calming effect of the aromatherapy scents at night (after a long day with the kids, I desperately need some aromatherapy, let me tell you). While it doesn’t smell quite as amazing as the Vitamin oil, the Blue Oil Serum is incredibly soothing and calming. It’s also an ideal oil serum for sensitive skin with JUST THREE INGREDIENTS (!!!). The first ingredient is green tea seed oil, which is a light feeling oil that contains highly nourishing lipids and antioxidants. It is suitable for even the most sensitive skin and has anti-inflammatory and antimicrobial properties. In addition, the Blue Oil Serum contains bisabolol, the active ingredient in German chamomile and Brazilian candeia bark (in this serum, it’s derived from candeia). Bisabolol is incredibly soothing, healing, protective, and anti-inflammatory, making it perfect for sensitive skin (even for babies!). Finally, the Blue Oil Serum gets its blue color from soothing and calming Chamomile oil. With my recent eczema outbreak, I’ve been reaching for the Blue Oil Serum most often of all my facial oils because I know it doesn’t have anything in it that will irritate my skin. It’s light feeling, so it doesn’t make my skin feel greasy. While it hasn’t made my eczema disappear, it does calm the itch, moisturizes well, and hasn’t exacerbated my sensitive skin. It also doesn’t have a strong scent – just a light herbal note if you sniff deeply. I haven’t used the URANG Glow Oil Serum as much as the other two, mostly because I’m so addicted to the other two serums. But I do think that if I had dry skin, this could very well become my favorite of the oil serums. It feels slightly more luxurious and moisturizing than the other two serums. If you look at the ingredients, it’s a pretty lush moisturizing oil with the addition of some calming and brightening oils. Sunflower seed, jojoba, and sweet almond oils are all pretty light feeling oils while being deeply moisturizing and nourishing. Calendula and chamomile oils soothe and help heal the skin, while mandarin oil is antioxidant-rich and helps brighten and restore skin’s luminosity (it also happens to be less potentially irritating than other citrus oils). Bitter Orange blossom oil, or neroli, has anti-inflammatory, moisturizing, and anti-aging benefits and also adds a lovely floral citrus note to the scent. The trio of URANG Oil Serums include three super high quality, thoughtfully formulated facial oils. They’re each unique in their own way and target specific skin concerns. I think that the current price of $99 for all three (15ml bottles) is a really good value because when you’re only using a couple drops each night, they will last a long time. I love how they’re suitable for sensitive skin and indeed for the whole family. While I love the full-size 30ml packaging of each individual oil, I really think the mini 15ml sizes are perfect for using up within a reasonable time frame, especially if you want to try all three. If it wasn’t obvious from my review, I thoroughly enjoyed all three oil serums. I’m also super interested in checking out some of URANG’s other offerings. I would love it if they introduced a natural fragrance line! This post contains affiliate links. Buying through an affiliate link generates a small commission that helps support this blog. All of my reviews are honest regardless — my voice can’t be bought! I love that you’re trying to get better at choosing more natural products – I could definitely do with taking note! I absolutely love the sound of the Vitamin Oil Serum – sounds like just what I need! I was forced to after I developed some perioral dermatitis on my chin! My derm said I need to cut back on the harsher products and stick to super clean formulations =(. I wish I’d done it earlier, maybe I wouldn’t have this problem! I love you for linking Robert Tisserand in your post, I thought no one knows him! I discovered him while researching about lavender oil and wow, his posts are so articulately written that I instantly became a fan. URANG came onto my radar sometime last year and you review just renew my determination to try a few of their products! I am trying to be good though, trying to finish two serums/ moisturizes/ etc before buying one new one. Yay another Tisserand fan! I like his balanced approach to essential oils — they’re really beneficial but can be irritating, or even dangerous if not used properly! I hear ya, I’m trying hard to get through a bunch of products too lol =). I only admire most these beauty products from afar but never buy them cos I have a very delicate skin and react to almost anything.. The blue oil might work for you, it only has 3 ingredients! These oils sound fantastic and remind me a bit of the Odacite serums, but more reasonably priced. Of the 3 i think I would enjoy the blue oil the most, I love that it has just 3 ingredients! Also thank you for sharing Robert Tisserand’s blog, I’ve always wanted to learn more about essential oils in skincare and this sounds like a great resource! I’ve never tried incorporating urang oil in my skincare routine! Thanks for the useful article. Great information. From what I can tell the Vitamin Oil might be something that siots well my dry skin. Besides I really like the combination of rose & lavender together. Thanks for the intruductive review Camilla!